Law Firm of Anish Vashistha, A.P.L.C. Find a Green Card attorney in Rancho Cucamonga, California focused on immigration law. When an applicant attains lawful permanent residency status, he or she obtains a USCIS Form I-551 or "green card." Green card holders may be sponsored through marriage by a spouse, by another family member or through their employer. Contact a Green Card lawyer in Rancho Cucamonga, California for information on the green card lottery, attorney fees, and the work visa. Although gaining lawful permanent resident status is a very long and complicated legal process, it is an important step on the path to U.S. citizenship. 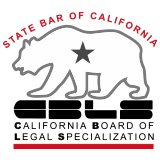 CBLS Board Certification in Immigration and Nationality Law - Lawyers certified as specialists in immigration and nationality law by the State Bar of California Board of Legal Specialization have demonstrated substantial involvement in this area of practice. The CBLS defines the term immigration and nationality law as the practice of law dealing with "matters arising under and related to the Immigration and Nationality Act of 1952, as amended (Title 8 U.S. Code), and other laws and regulations dealing with immigration and naturalization."